Liberation and Enlightened Awareness Means Not Taking Your Self Too Seriously! Like everything mental, the so-called ‘law of causation’ contradicts itself (says Nisargadatta). He adds, “No thing in existence has a particular cause–the entire universe contributes to the existence of even the smallest thing; nothing could be as it is without the universe being what it is.” In this response to a question Nesargadatta is taking time out of the equation which the ego-mind attaches to but the universe functions outside of the law of causation because causation means succession of space time events that are physical or mental and all that has to do with “mind”. 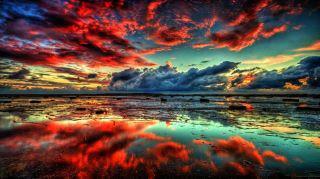 The universe is not bound by its content– everything is an expression of the totality of causes. As the couple from India in the apartment below me showed up, so did a used book that I’d forgotten I ordered on a teacher (interestingly enough) also from India—Nisargadatta! For decades now my ears have taken in that name spoken by Dr. Wayne Dyer who would often quote him in his lectures. The noise and smells below me were too much India for me and the book sat beneath a pile of others, intentionally buried! After a few gatherings of Indian people for weekend parties below me, it was as if I was THERE—bad enough my sleep and meditations have been disturbed. Teacher or not–a book written by someone having anything to do with India seemed like something that would throw me way over the edge. I’d been on India overdose! But I think I really like Nisargadatta now that I’ve cracked the book. He has essentially validated some of my own insights regarding what happens being just life and even my life being just life and all of it just being energy playing out—no need to take any of it personally! Between this teacher and few others (via books), I’m also realizing that we humans take our preferences and pains from past memories and call that ME, identifying ourselves based on our memories. Case in point—the Indian couple (who are just being themselves) have loud voices which I’m now realizing as I look around this community many do talk very loud—trigger within me memories of my parents fighting when I was a child. Yes, before you ask the Indian couple fights—doors slam and fighting is fighting no matter what language it’s in; so there’s no mistaken it. Again, it could totally be a cultural thing but all that aside, I find myself bracing in my stomach and jaw when they come in to their apartment (yes, I can hear them) and many times I look for excuses not to come home when I know they’re home—just like as a child I’d not want to go home to hear my parents fighting. I’d get sick to my stomach and beg my grandmother to let me stay with her so I didn’t have to go home. All this is memory that I over-identify with as ‘me’—this is what I’m realizing or remembering. The I AM of ‘me’ doesn’t have anything to do with any of that! And that is what Nasargadatta is explaining in the book that I’m reading! I knew that, I lived that and figured it out on my own but forgot it. Even my longing to go home to the mountains is really just a memory that I’m overly attached to and too identified with which is causing additional unnecessary suffering. We are not our memories! Good ones (the serenity of the mountains, the silence) or the bad ones (people yelling and fighting) or even the current events or happenings—it is all just energy playing out and the universe doing what it does and we are part of it in this moment but don’t need to over identify with the memories of the past or the apprehensions of the future. That is true liberation. The challenges of course are to recall this and be in this realization; and remain in that awareness when those memories that we mistake for a ‘me’ are triggered. That’s my work now or at least part of it. It is said that we are slaves to what we do not know. And of what we do know we are masters. When we discover something within ourselves like this and when we strive to understand it and understand its causes and its workings, we can potentially overcome it by the very knowing—the unconscious dissolves when brought to the conscious. Then we can become quiet again—serene, at peace. By the way, I am also reading Songyal Rinpoche’s Tibetan Book of the Living and the Dying. I read the huge long thick tedious version a few decades ago when I was a physical therapist. It was on the required reading list to become a hospice worker. I did my own survey over the years asking every hospice worker I’d met if they read this book that is required to be read (according to the hospice paperwork I came across) and not a one of them had read it! Now it’s time for me to do my own writing while everything is quiet here—at least in between clients and my other work. It’s time for me to return to writing my astrology course. Meanwhile, the message for the day is not to take your self too personally; like Nisargadatta reminds me through his book, every thing and every one is the energy of the universe working itself out. Consciousness is one thing but AWARENESS is beyond that and the earth/ego realms and in awareness we realize this liberating truth! For any astrologers out there who may wonder how a reversed lunar nodal return would play out in the 4th house, I also left my home in the mountains to move closer to my children in order to help them which is how I ended up in an apartment above a loud Indian couple. It was very quiet when I first moved here. Just for the record, people in our building have complained to the office about them and they have become better mannered and quieter since then. And here again I have to turn back to Nisargadatta and the liberating teachings and Truth which I have come to already know within myself through my experience in meditation and contemplation: whatever happens is just life (which includes me) being just life and all of it just being energy playing out—no need to take any of it personally! Not even should I take my own self personally — everything is just energy playing itself out. In a state of pure awareness I see that! I clearly do and obviously needed the reminder. Well, here it is and so we’ve arrived at the famous, happy date of 11-11. All the ducks are lining in a row flapping their wings about these numbers. Does anyone REALLY know what this 11-11 means except for what other people have told them it means? Dogma?! I’m always on the lookout for it – and watch out, I’m going to get bare-bone’s honest – well, it seems like a good old human rumor as most consensus consciousness belief system’s probably are in the first place. 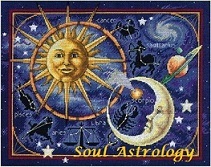 Now if we simply look at this day astrologically, then I can relate! But then it seems like I look at ‘everything’ astrologically lately–like I’m wearing a pair of astrological glasses (if there was such a thing) and can’t take them off. Maybe astrological contacts would be a better comparison. I won’t go into the Mercury retro in Sag and Neptune direct (and of course in its own sign) and the total solar eclipse new moon next Tuesday and hold on, nearly there, nearly there—today on the famous, happy 11:11 the Moon has just crossed over (practically, like right now as I’m typing) ‘love me/love me not’ glorious Venus in her own sign, Libra (potent stuff). If you know astrological language, then you realize what I just said. If I gave all that 11:11 astro-babble a bottom line (and apparently now I do haven boxed myself into my own blog corner here) then that basic one-liner (or maybe two) would have to do with a new way of seeing things and processing our experience here. Some folks call it a star gate or other new-age lingo for the fact that the heavens (as above, so below) are supporting a change of mind and heart. 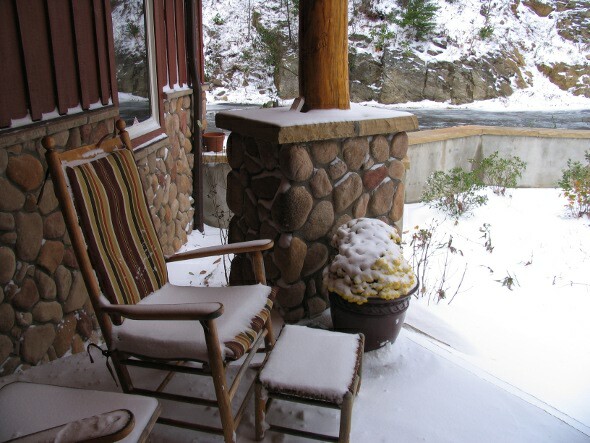 Take the photo in this blog post—that snow-covered chair and footstool on the front porch there. (Before you ask, I don’t know whose place that is.) It’s beautiful and brings up those “Oooooh, I love that and it reminds me of once upon a happy time” feelings. Yeah and that’s the Moon-Venus in Libra conjunction that just spoke. But another part of the scarecrow straw (if you will) is somewhere else saying things like, “Are you kidding? You KNOW how much colder everything is with snow layen’ on the ground like that! Get real there girlfriend!” So that’s an example of mental/emotional incongruence—as scarecrow consciousness tries to resolve itself. But the whole “words” and “speech” thing—that’s a bit ‘here and there’ too. Have you ever noticed how it wasn’t until you opened up to speak to someone that you realized your mood wasn’t a very flattering one? I’ve done that so many times being that I’m a quiet person who lives alone and before you project how that could be a problem, it’s (for me) heaven. I love my solitude. Anyway, I sometimes start talking to a friend or a family member and realize that I’m feeling happier than I thought or perhaps a bit short-tempered or whatever. It isn’t until we hear our very own words, our speech, that we get more deeply in touch with how we ‘really’ may be feeling! That’s the only drawback in living alone but that’s why god made telephones! And why people like me happily talk to themselves. Then again this is why counseling is so helpful—many times people know intuitively that there’s incongruity between their actions, their words and their consciousness. But it isn’t until trying to pull those all together while talking to someone else that one realizes this—except if one is totally out of touch with one’s self. In that case the individual has no idea how distinctly contrasting parts of themselves really are! On another note, lately I’ve been AGAIN turning in the wrong direction– how many times does it take before I “get” this one and stop trying to do this? An astrologer would understand it if they saw my natal chart. The bottom line is that certain people (and I’m one) simply cannot turn to another for solace or understanding or even mild sympathy for even a moment! And this is not me going into a pity party—rather, I’m stating what ‘is’. For some of us the door gets slammed in our face so that we can develop that relationship with the (for lack of a way of saying it that won’t offend) a Higher Power or Inner Divinity. There are times that it feels like other humans even mock the feeble attempts of people like me to turn elsewhere for solace and understanding. Turning toward others seems to get us the big wagging finger of god in our face–figuratively speaking of course. For some of us it’s clear and simple. That kind of stuff is to be found within the self and that’s where we must go for understanding—no other human can possibly understand us, much less console us! This past week I’ve received a few more reminders of this, mild but there nonetheless. I can find myself reaching toward another lesson in those areas whenever I find that I’m trying to explain myself to another person—it simply doesn’t work. I forgot. I received a reminder. Good old Mercury retrograde helps me out again! And its polarity partner, Jupiter who is also retrograde–they give wake up reminders to our belief and communication scarecrow parts. Hey, it’s all good because when I get those reminders it brings me back into myself—and I pick up those scattered parts, get real again, and begin to feel more congruent. It’s all good like I said. I went for a walk yesterday and instead of looking at trees and creeks and mountain vistas, my view (since I’ve moved) encompassed cars and concrete and apartment buildings. But I really do like being able to just lace up my sneakers, open the door and with no muss and no fuss and put one foot in front of the other without having to drive a few miles. That’s what I had to do in the mountains—walk at a designate place by the creek. It was quite scenic actually. Otherwise, you walk at your own risk on mountain roads. People have dogs running free on their land (as they should be) and they bolt toward any stranger walking by in their protective efforts. So its all ‘6 of one and half-dozen of another’ as the saying goes. So now I try to look at the sky and clouds as I walk, ignoring the concrete and cars as much as possible. There is a little pond/lake body of water on campus here with a large grassy area around it and a fountain of water shooting up in the center with park benches and picnic tables around. If you can get over that fact that you are surrounded, albeit at a fairly good distance, by rows of apartment buildings and in view of a good number of human eyes, then this is a nice place to get away from the concrete and cars for a stint of time. The common-link expanse between this Hogwart’s-like apartment complex in the foothills and my heart-home in the mountains is the sky. I do think that where we live or reside (or the places that we’d like to) actually describe that which our own soul or the energy that is most compatible with it. I have been thinking about the reversed Lunar Nodal Return I’m approaching (within orb now). If you read my posts, I’ve mentioned it before. The axis that is triggered is 4 -10 in Scorpio-Taurus respectfully. If you understand the natal lunar nodes, this whole post may make astrological sense. Although there are ‘family versus career’ issues being intensified, how it is playing out for me in another area has to do with the inner world (4th house) and the outer world (10th house). They say we are supposed to ‘balance’ our nodes and maybe that’s what I was doing a bit of when walking in the concrete car-park-human-jungle while gazing up at the sky; and remembering the same sky and clouds look down upon the mountains—common area, balance. Yeah, I can see that I’m doing it again. I’m blogging about this in an effort to be understood—AGAIN. But, as always, it’s not the only motive. I work through ‘my stuff’ –yeah, my stuff is an illusion but there it is anyway—here so that maybe another can see they are not alone in working through theirs. Besides, something here may help another while, yes, I’m involved in this selfish attempt to gather up my Wizard of Oz scarecrow stuffing and unify. “Pay no attention to the man behind the curtain”—I loved that part of the movie! Thinking of it again right now, it reminds me of those folks we all know who are like the frantic frightened man cranking the wheel behind the curtain, afraid of being ‘found out’ or being seen by others as less than all-powerful with their face to the world huge and… well, suddenly I had the thought of that Christian preacher who was on all the talk shows (Larry King, CNN et al) lecturing the public viewers about the ‘abomination’ as it relates to ‘gay’ folks. And then it turns out that this preacher has been gay from the get-go was totally exposed! In sort of the same way, I turned to someone recently in a weak attempt to be understood and got the powerful image of the wizard of Oz—the man behind the curtain was well hidden and the words being to me in response were like “The All Knowing Powerful Oz has spoken!” My bad for knocking on the door of the Emerald City and following the Yellow Brick Road in the first place! There was that same lesson again! (Yeah, but all I want is a bit of understanding and the universe replies, ‘you may give it all you like but do not look for it outside of yourself and most importantly not from another human.) I don’t think everyone is working with this lesson but some of us are. And if you’re one, you can totally relate to what I’m saying here. After all, there’s no place like home and like Dorothy folks like me are here to remember and then help others to recall, we’ve never left in the first place and not to go looking for anything outside of ourselves for it. Yeah, so there’s an 11-11 message for anyone who is looking for one. If you’re a numerologist or inclined to look for meanings in numbers, all those 1’s have got to do with individuality, new beginnings and most of all INDEPENDENCE. The number one is associated with Aries and Mars and fire and directness and the warrior – the number one calls a spade a spade and really doesn’t deal well with hypocrisy. With all those 1’s we’d naturally think about the ‘masks’ we put on: like the image of the Wizard of Oz and the man behind the curtain. And we’d with all those one’s we think of creating some sort of unity with individuality. Anyway with 4 one’s or 2 eleven’s we’ve got that one meaning magnified. I don’t have a big finish or a theatrical conclusion. I’m sort of disappointing myself because of it because I sort of like big finishes when I can find them. But maybe that’s part of the 11-11 thing too, who knows? All I know is today is November 11th and intuitively I’m feeling like the energy of starting over in somehow and in some way around all of us. But what do I know? Nothing you may say. And I’d have to agree. I’m in the middle of changing my whole mind and heart right now which is my interpretive intuition of what this 11-11 is about. Excuse me, I see a part of my straw just over there and I need to go get it so that I can continue on down this illusionary yellow-brick road in tact. All the while I’m remembering that there actually ‘ is’ a great and powerful wizard but the outer world has nothing to do with that one’s location. How could I have forgotten AGAIN by turning to another human for understanding! Nobody (and I do mean body) can understand us and where we’re coming from—not really. The soul and beyond—can we find it there? Yes but we have to go to the heart of the soul and beyond. I could say that we have to go somewhere over the rainbow but like Dorothy found out (so many morals to that story! ), it’s futile to go looking for any heart’s desire (whether it is to be understood or consoled by anther human) or whatever it is outside of one’s self. For if it isn’t in the mind and heart of your own soul (your own your own back yard) — because if it isn’t there, then you never really lost it to begin with! Take the word of a psychic who temporarily forgot — or not. Oh and don’t write to me–I know 11 is a ‘master’ number; hopefully I’ve given a partial explanation as to why. I’m really about “who said so?” a lot more than I ever was before. I live more or less by observation and correlation. One final thing—I really feel that the soul relates to “somewhere over the rainbow” even if the intellect doesn’t. I just had a memory flash of my daughters, sister, niece and I at a recent high school band concert. One band started to play ‘Somewhere Over The Rainbow’. I looked over at them and everyone had teary, watery eyes and that smile that comes over one’s face when the heart has been touched. Well, gotta’ go now. I have a to-do list and need to get my walk around campus in before the day ends. Night time comes too soon on these progressing-toward-winter days. Buh-bye for now…need to be out in the sunshine. I won’t have a change of mind or heart about that one, 11-11 or not.